Original oil painting on a natural coloured linen canvas. The canvas is backed with a wooden board which is then framed. The layered effect is stunning. 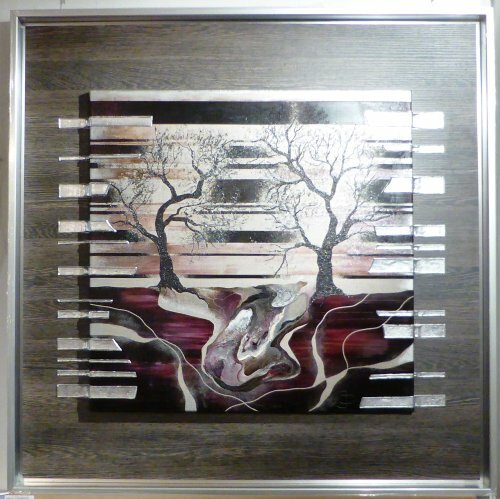 The canvas and back board are joined with mixed media 3D silver lined. Warm aubergine and brown colours with neutral shades are offset by the deep blacks and silver.